At the risk of using a cliché – omni channel, one still needs to understand what exactly is omni channel? It is generally assumed to be building a brand presence across multiple channels – online and retail and/or different retail formats. This is only partially true, omni channel is about building complimentary yet seamless brand experiences by profiling the consumers across channels and by leveraging the strengths of each channel. Consumer profiling is self-explanatory while the latter quite simply means each channel has its own merits. Online is used generally for browsing the entire range, pricing and convenience. Brick and mortar outlets provide a multi-sensory product and brand experience. These differences between formats should be capitalized upon while creating an omni-channel experience. There are multiple cases of online brands creating a brick and mortar version to build on the strengths of the offline platform, and multiple cases of the reverse from offline to online. Nordstrom (Department Stores in the USA) has managed to seamlessly blend the online and offline experiences via the social media platform. 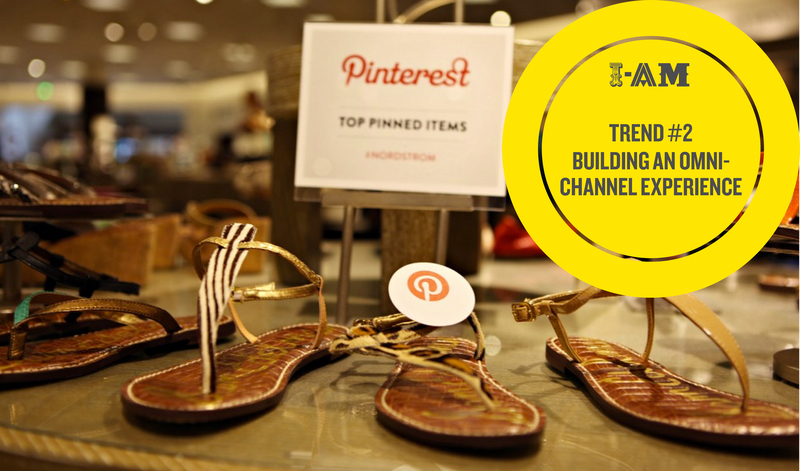 It uses Pinterest online and in stores to give its consumers a personalised and relevant branded shopping experience. They’ve added a Pinterest button to their website and they have also started to put physical Pinterest logos in-store to emulate the online process of ‘pinning’. Continue watching this space for 2016’s Branding and Retail trend #3.